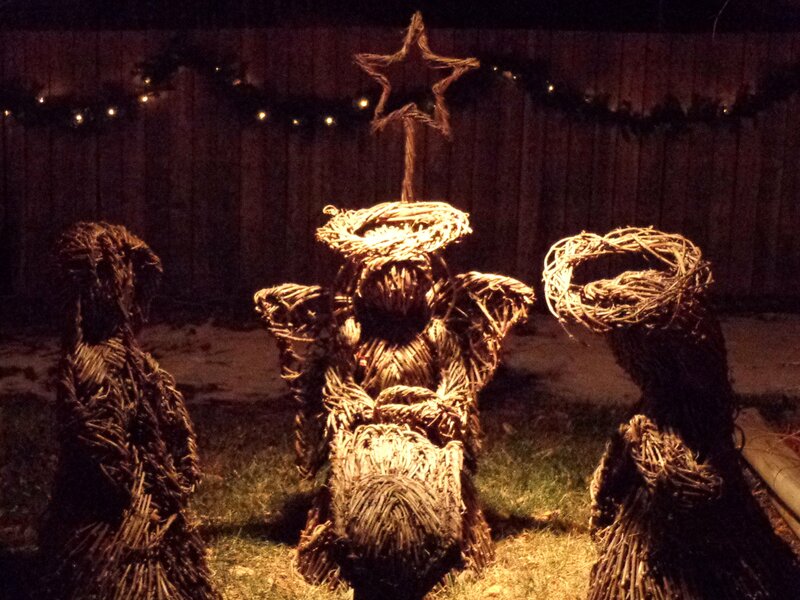 Free high resolution photo of a Christmas nativity scene made from wicker. This Nativity set depicts Mary with the baby Jesus in the manger, along with several other reverent figures. Nativity scenes are common decorations at Christmas time celebrating the Christian holiday and the birth of Jesus Christ. This photograph was taken at night with the nativity lit up in the darkness. Free picture for any use.